A striking wood heater featuring a wide, rectangular firebox and large glass door, offering entrancing views of the roaring fire. Heating up to 232m2 it is an ideal option for a medium-sized family home. Fascia Size – If the standard fascia sizes are not ideal for your existing fireplace opening, we can manufacture a custom-fascia to fit. 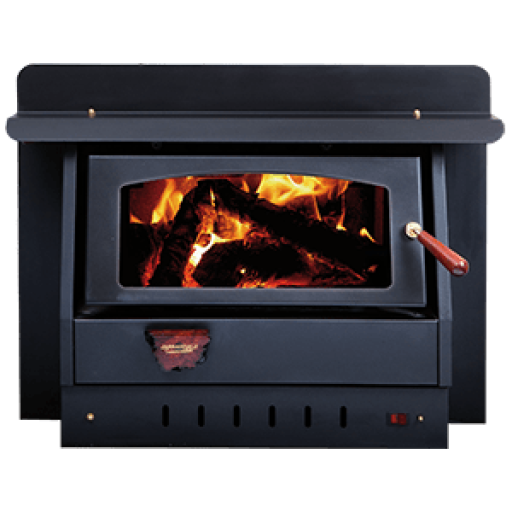 The Innovator Built-In wood heater is also available as a freestanding wood heater.